I admit, I really forgot about this blog. But I see that people still check it out, which is very nice to know. It will remain here as an archive and I hope that people can still derive use of it! I haven’t listened much to Hello! Project since around the time Junjun and Linlin ‘graduated’ from Morning Musume. But I do check up and see how it’s doing! And here comes Egg #4 to complete their H!P egg training! It was announced on the Hello!Project fanclub page that H!P Egg Trainee Mori Saki has completed her training as H!P Egg. Like Sengoku Minami, Mori will be staring in a stage play that will run from April 8th to 17th. After that, there’s really no knowing what’s in store for Mori. Here’s hoping for new and exciting things for all the Eggs! Sadly, I don’t really follow the eggs and therefore, know very little about them. It’s very nice to see all of their hard work paying off though. Those girls sing and dance their butts off in the concerts and there’s a lot of unused talent in the Eggs that definitely deserves to shine. It’s about time that some of these talented gals finally get their chance to prove what they’re worth. That leaves a good question in the fandom. It has recently been announced that Hello! Pro Egg members Sengoku Minami and Kikkawa Yuu have completed their training as members of Hello! Pro Egg. 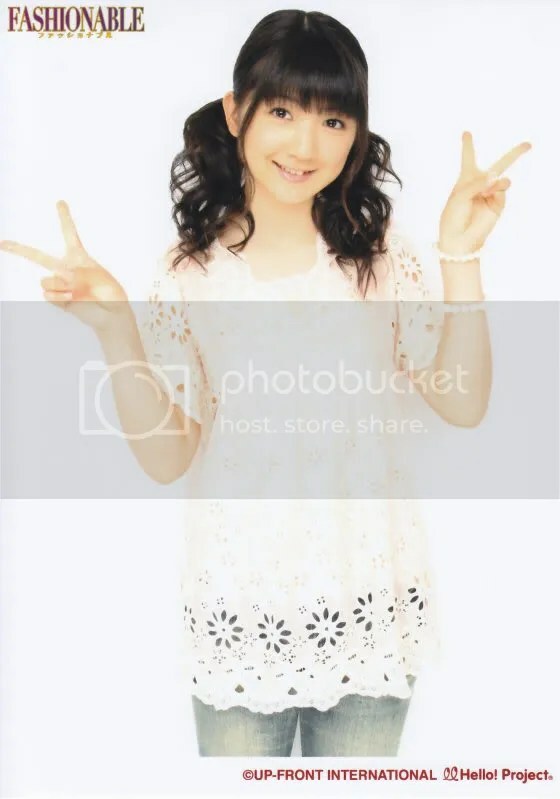 No statement has been given on Sengoku’s future, though there is some speculation that she will join Morning Musume. This is purely fan speculation and I can’t say I’m convinced myself. She is a popular member of Hello! Pro Egg as well as a member of the semi-defunct Ongaku Gatas. Hello! Project have however announced that Kikkawa Yuu will open the Hello! Project 2011 Winter Tour and her future activities will be announced at that time. This is quite important as Kikkawa is arguably one of the most popular and developed members of Hello! Pro Egg. She auditioned with Mitsui Aika to become a member of Morning Musume’s 8th generation but was unfortunately not chosen. Since then she has participated in many Hello! Pro Egg concerts and events as well as having an active role in theatre and indeed as a member of the unit MilkyWay. I’d guess that Kikkawa is going to launch a solo career or perhaps join Morning Musume as part of the 9th generation. She can definitely sing and already has a fanbase. I’d like to see her do either, I think Mano Erina has pretty much been unable to prove herself as a soloist as of yet. And you can watch on TV Tokyo with Keyhole TV! The channel is called テレビ東京 in Japanese! [Update] In classic Tsunku style, the results will not be announced until January 2nd!